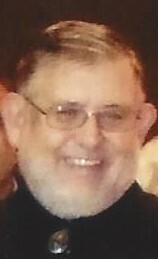 Memorial Service will be Saturday Feb.2, 2019 at 11am at Anthony P. Litwin Jr. Funeral Homes, Inc. 33 Reynolds St. Factoryville with Rev. Paul Fields II officiating. Family and Friends may call at the funeral home an hour prior to service time. 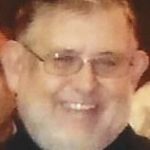 William E. Sherman, 70, of West Abington Twp. died Thursday 1/24/2019 at his home after a brief illness. Born in Scranton on May 30, 1948; the son of the late Leonard and Helen Finch Sherman. Bill was a member of Pipefitters and Plumbers Local 524. He worked in the industrial HVAC business for most of his life before retiring. He enjoyed gardening, fixing tractors, watching Dr. Pol and helping his neighbors. Bill is survived by two sisters Judy Martin and Beverly Sherman and a niece Tina Martin all of West Abington Twp. and numerous cousins. He was preceded in death by a nephew, Tim Martin and his beloved dog, Kanie.